No more impossible to hear phone calls, no more missing words! 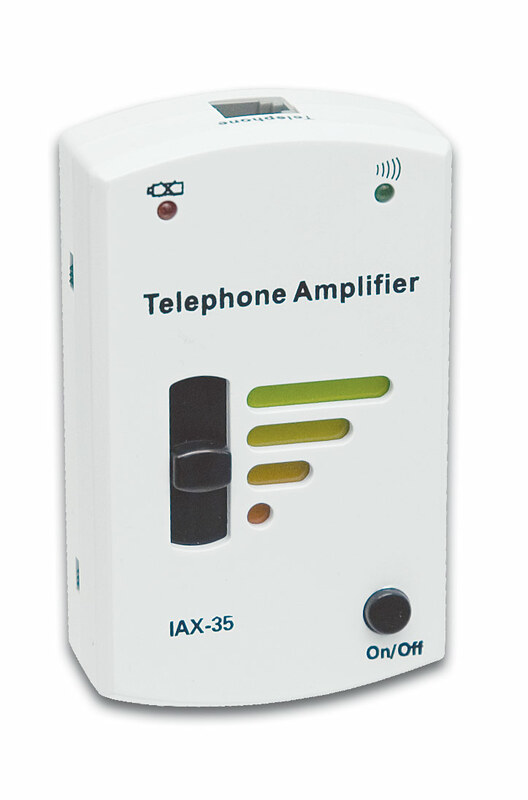 The Telephone Amplifier converts your telephone into an amplified telephone. Every word will come across loud and clear. It's easy to install and it is portable so you can take it anywhere. Simply unplug the handset cord from your telephone base and insert it into the jack at the front of the Telephone Amplifier. Plug the Telephone Amplifier telephone wire into the handset jack on your telephone base. Pick up the phone, switch the Telephone Amplifier on and your all set. Enjoy loud and clear calls without a hitch. Requires 2 AAA batteries to operate ( not included). NOTE: Cannot be used with cordless phones.